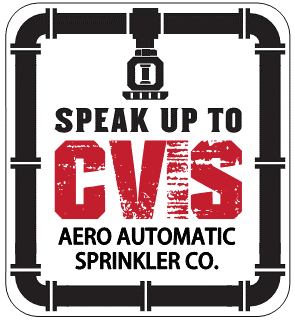 Aero Automatic Sprinklers believes in a safe and reliable work environment where our employees can go home to their families and friends each day and every day. We believe in teaching and training our employees to enhance their ability to work safe each day. With an EMR of 0.46, Aero is an industry leader; this rating is a reflection of our commitment to working safe each day. Aero has created a safety plan to promote the basic fundaments of building a safety culture to its employees. 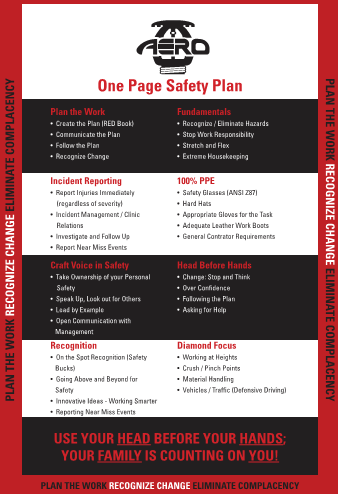 This tool helps promote exceptional safety performance by helping our employees understand the expectations and allowing them take ownership of their own safety and of those around them. Employees are required to complete a safety assessment of their operations before commencing work and/or when conditions change. 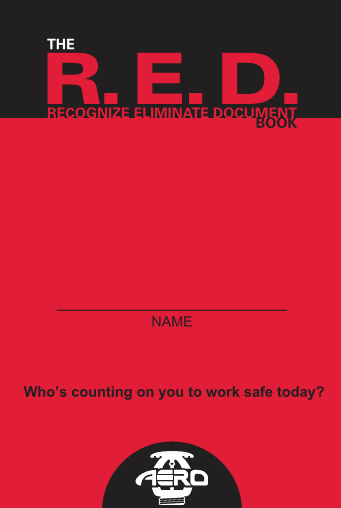 The RED Book assists our employees in recognizing the potential hazards then reducing their exposure through protection, prevention, or elimination. Craft Voice in Safety creates a culture where everyone has a voice. Craft are taking care of craft, in a partnership with management, through ownership, communication and prevention to achieve our goal of Nobody Gets Hurt.